It's been a very long time since the last post, which is because all the magic is happening at the Liber Malefic blog right now. However, there is an important info/update that deserves a new post on here, I believe. Over at Tom's Boring Mordheim Forum RationalLemming has created a Living FAQ thread for all the tiny questions regarding the Border Town Burning supplement. While Stu and me don't have the time to continously update the Errata PDF file which is available from this site, we do our best to answer questions directly on the forum and adopt the best suggestions from other users. Therefore, the Living FAQ is the most up-to-date source for all your concerns/questions/errors/etc. 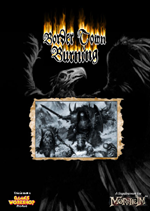 The second edition of the Border Town Burning supplement for Mordheim is out now! The revised and updated version incorporates a number of corrections and clarifications that were brought to us by the many gamers that have been playing with these rules during the last one and a half years since the initial release of this all original fan-made supplement. We were blown away by the overwhelming response to the project and would like to thank all the people who got in touch and sent us their compliments and feedback. Both the full supplement download and the individual files have been updated. You can also find the various updates of the initial release listed in the Errata file. Of course we will still be interested in your thoughts and feedback regarding the BTB supplement. This website will remain active and you can always get in touch via the contact form or catch us at Tom's Boring Mordheim Forum. We'd love to hear your thoughts, read your battle reports or answer whatever questions you have. Don't expect many updates on this site though as we will move to the Liber Malefic blog and we hope to see you there! Keep the game alive and have fun! It's been a long time since the last update. We have some cool big news in the works, but they take a lot of preparation. It won't be very long though. Today I would like to point you to the A tale of some gamers blog. The guys are currently running a BTB campaign and you can find battle reports and scenery there, lots of cool photos. For example, have a look at their Watchtower piece or their battle reports of BTB scenarios such as Traces to Emprise and The Lost Caravans. As a very cool feature they keep track of the warbands' campaign points in the sidebar of their blog. 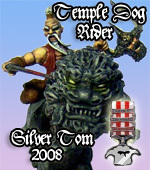 So definately check out their site; there's lots of cool hobby stuff. Per Jorisch has created an editable version of Sean Maroney's advanced Mordheim roster sheet and put it up on his blog Marvelous Miniatures. Sean was already so kind as to update his original roster to meet the needs of BTB players and now Per has enhanced that one too for players of BTB campaigns (including automatic warband rating calculation!!). You can download the ultimate roster from the campaign section. The online Mordheim Roster Builder is also ever improved and it now features the BTB warbands. For feedback go to this thread at Tom's Boring Forum. 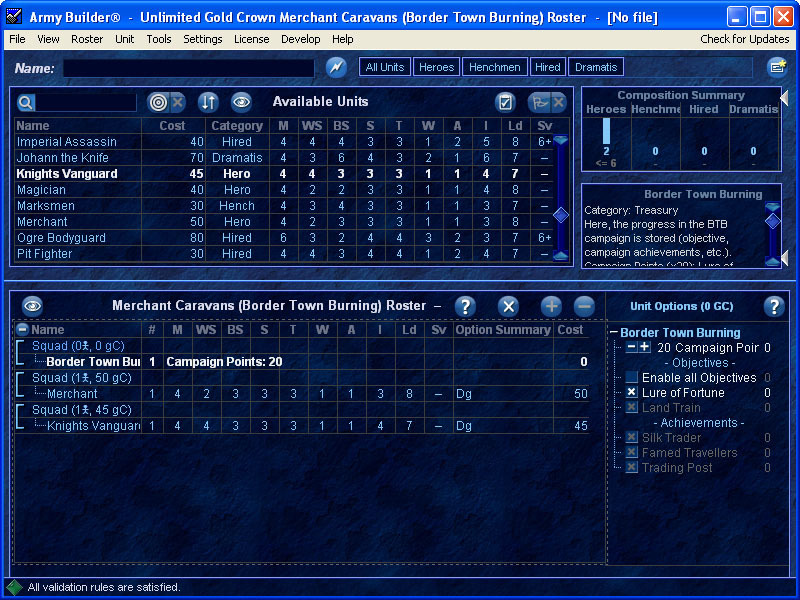 There are many people using Army Builder to manage their Mordheim warbands. SomeOrc took the time to create support for the BTB campaign system. With the new files you can now manage your warband objective within Army Builder; new achievements are automatically added as you gain campaign points. You can download the AB files from the campaign section. For feedback visit this thread on Tom's forum. 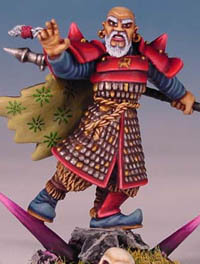 Today I am pleased to present you something extra special: Don Haney, creator of the resplendent Lu Shang conversion, which won him the 2nd place at the 2002 Chicago Golden Demon, recently got into contact with me. He noticed that his model was featured in the BTB gallery and that the original link to his article, where he describes the process he went through assembling and painting the model, was no longer working online. Don has kindly revised and reformatted the entire article and it is now available as an exclusive download from the website to fans of Mordheim and BTB. 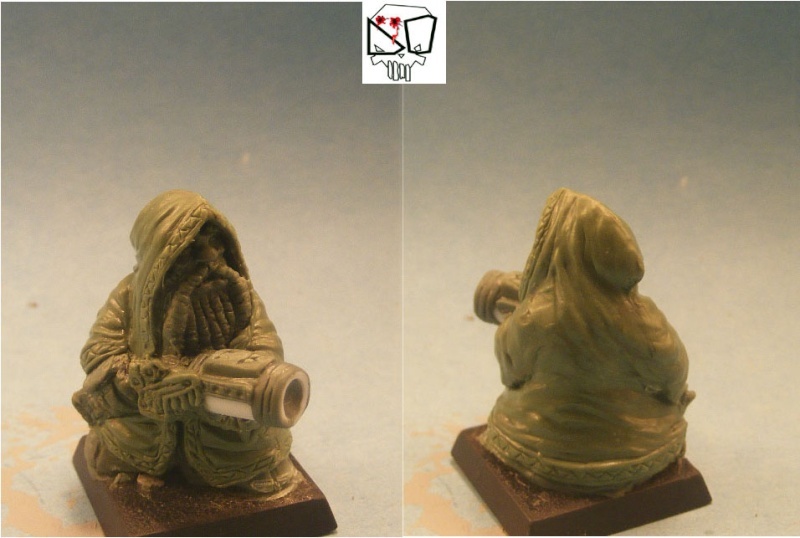 I am especially delighted to present you his article, because it was his work that originally inspired me back then to create my Battle Monks warband for Mordheim. Since the release of the supplement in January we have been collecting feedback from readers, corrections and clarifications, and compiled them in a list of errata. The Errata (PDF available above or here) is a list of those changes that affect gameplay. Not included are typos and other things that don't affect your games. While the individual downloadable PDF files have been updated with these changes, the full supplement itself has not. We will try to do this soon. If you have any questions or spot any mistakes that slipped through, please feel free to contact us. It is with twisted delight we introduce a complete set of rules for using mutations in Mordheim campaigns. This heretical download is guaranteed to attract the attention of Witch Hunters! Here you will find special rules promoting mutation among all warbands. Fully explained is how the warp-touch affects your unsuspecting warriors! It is also a homage to two of my favourite articles that were originally published in Town Cryer, both written by Daniel Carlson. We felt that 'Power in the Stones' and 'Sawbones' are criminally under-used in campaign play. To remedy this injustice, I have married the highlights together with some new ideas that began being nurtured during the development of Border Town Burning. Also included are new mutations, and Chaos Gifts for those who give themselves over entirely to the Ruinous Powers. I hope you enjoy corrupting your characters in your Border Town Burning and Mordheim campaigns. Added to the New Rules section. From August 21st to 23rd I hosted a Boring Mordheim Meeting with Eliazar (Protectorate of Sigmar), Ezekiel (Merchant Caravan), Matt (Maneaters) and Pfreck (Chaos Dwarfs) of Tom's Boring Mordheim Forum coming around to play a mini BTB campaign at my place. We played Last Orders!, Man Hunt, Tainted Copse, Avalanche and more, ending the weekend with an epic Siege! 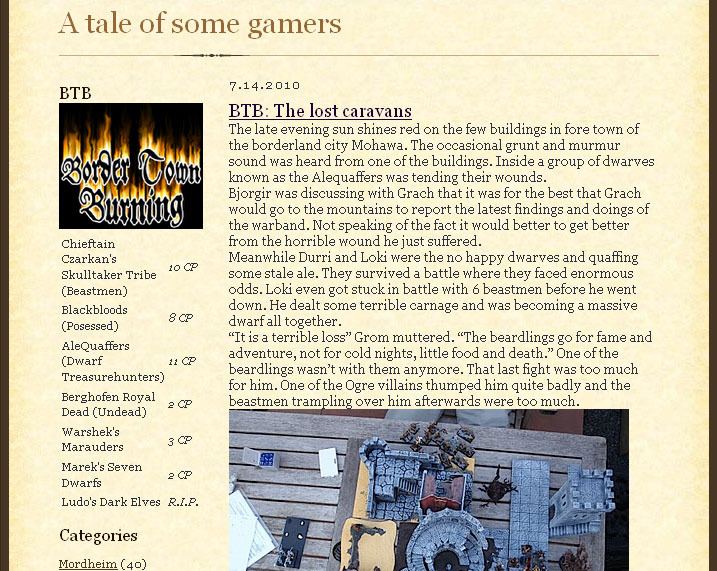 You can see lots of photos and battle reports at Tom's Boring Mordheim Forum. More photos and reports will be uploaded there throughout the next days. Happy reading! 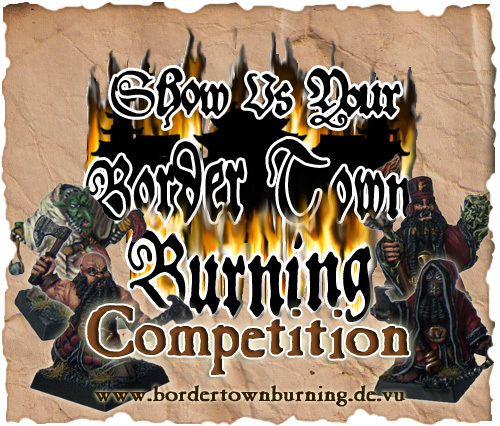 We are excited to present the great "Show us your Border Town Burning!" 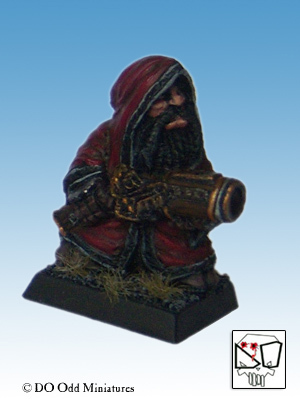 competition with lots of cool prizes including a Chaos Dwarf warband, Citadel Ninjas and other useful Mordheim bitz. Read all about it on this special page. We are very much looking forward to your submissions! 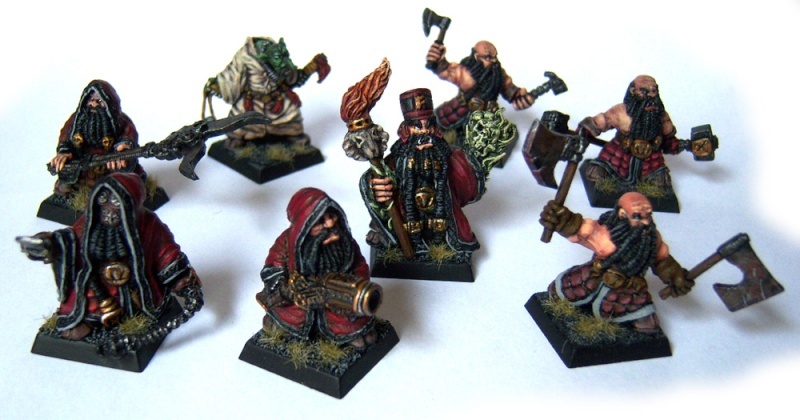 I would like to take a moment to draw your attention to a bunch of Chaos Dwarfs sculpted by Dirk Opper (check out his blog). 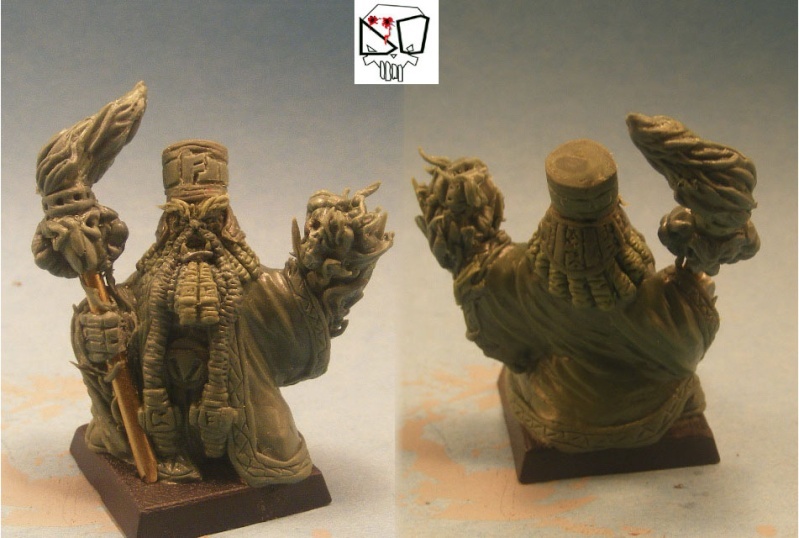 You can see WIP photos of the minis on Chaos Dwarfs Online and Tom's Boring Mordheim Forum. 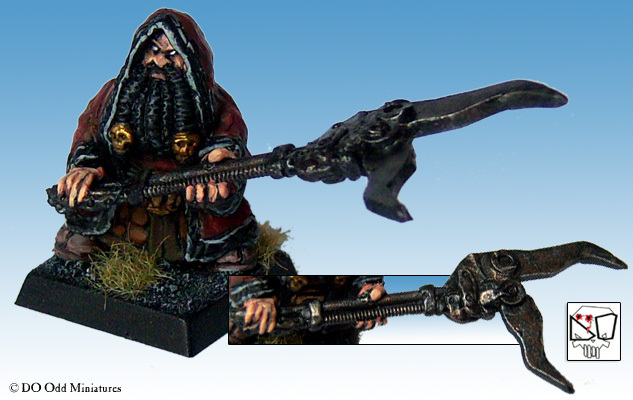 As you can see, the models were inspired by the Black Dwarfs warband from the Border Town Burning supplement. Below you can see greens of the warband leader, a mighty Chaos Dwarf Sorcerer, as well as two evil Gaolers, one armed with a blunderbuss, the other wielding a steel whip. So now you might be asking yourself: where can I get these minis? Check back in a week and we will let you know! 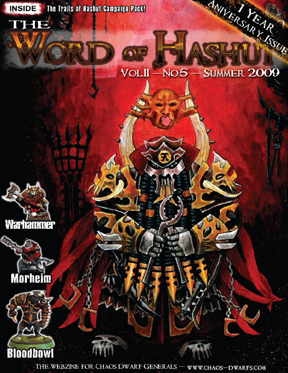 The anniversay issue of the Chaos Dwarf webzine "Word of Hashut" is out now and celebrating it's 1st birthday. As usual it is packed with tons of Chaos Dwarf goodness - and I'd expect nothing less from the creators. I especially love the outstanding artwork; just look at the incredible cover and you will see what I mean. 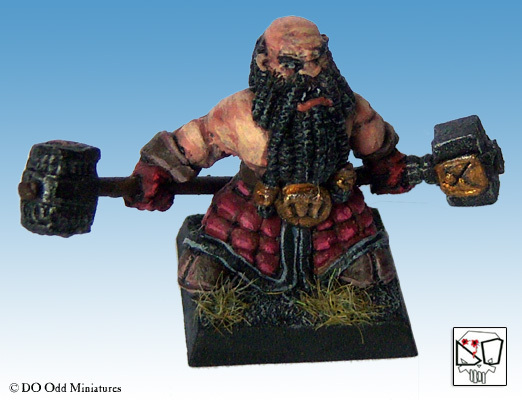 Leave your praise at Chaos Dwarfs Online. 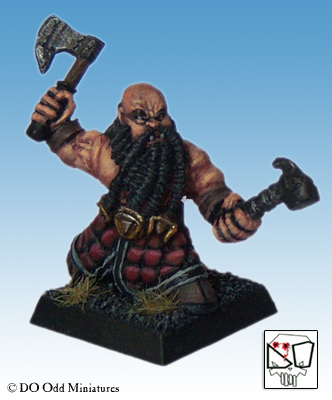 The issue includes a review of the Black Dwarf warband by Astranagant, who will be building and running a Chaos Dwarf warband in his BTB campaign. So look out for the next issue of the Word of Hashut! It has been awhile since the last news entry. We are, however, preparing a huge BTB contest with lots of prizes so check back soon! In the meantime I'd like to give kudos to Svenn and Tewfik for their Mordheim blog called tabletopgeeks.com. Aside from interesting hobby projects on the blog, they are setting up an ultimate compilation of Mordheim resources, so have a look at their downloads section. This is well worth a bookmark and if you are still missing an issue of Town Cryer, you can grab it from there now. They are also hosting the BTB supplement PDF, so if you want to download it (after heretically deleting it from your computer - shame on you!) and this site is temporarily unavailable (stupid free domains) you can get it from there too. Issue #4 of Word of Hashut is out now. This issue of Chaos Dwarfs Online's quarterly ezine is even bigger, better and more breath-taking than usual. I am not kidding. This 76-page monster is an impressive testament of the dedication, commitment and talent of the Chaos Dwarf community. 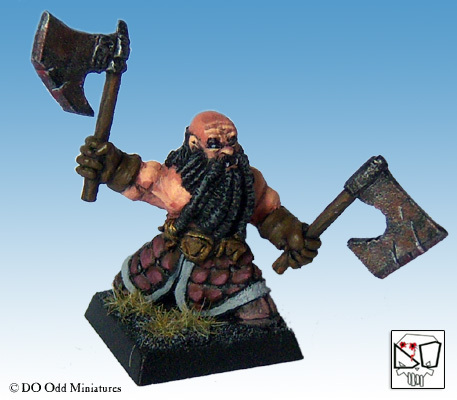 Packed with tons of inspiring photos of the evil Dwarfs, hobby articles, fiction and way more it once again is a great read - not only for Chaos Dwarf fans but wargamers in general. Of course, there is something special for us Mordheimers as well. 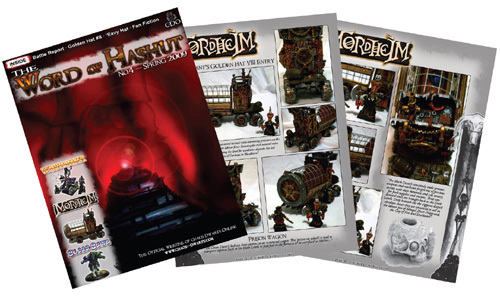 The issue features two pages of close ups of Astranagant's Prison Wagon which placed in the top 10 of the 8th Golden hat Competition. 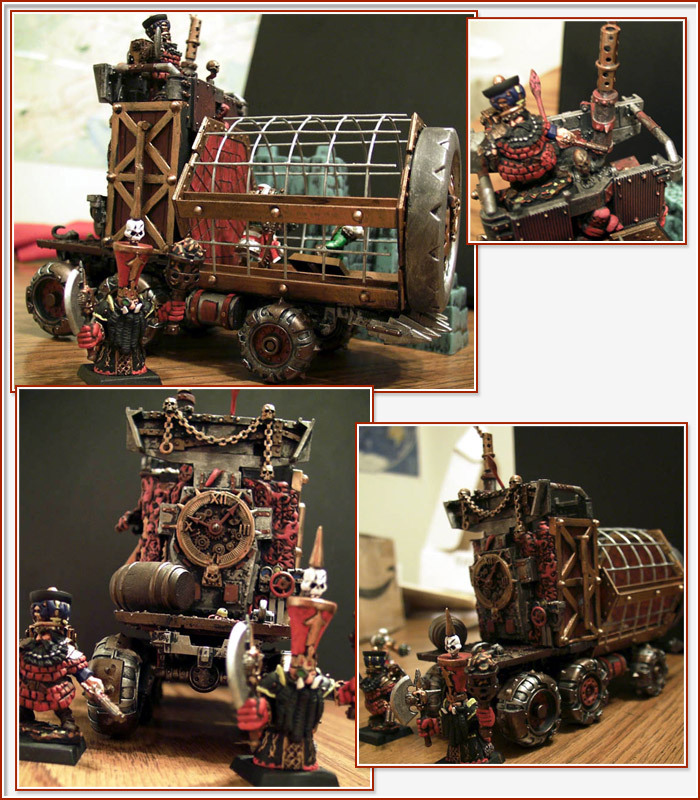 The contest was about creating a warmachine and Astranagant submitted a spectacular conversion for the Prison Wagon from BTB's Black Dwarf warband. Download issue 4 now at Chaos Dwarfs Online. EDIT2: (Apr 20th) I am happy to see the re-release of the Word of Hashut. Now go and check it out! While there are some gaming groups out there who are currently in the midst of their Border Town Burning campaign, the first warband has already been led to victory. 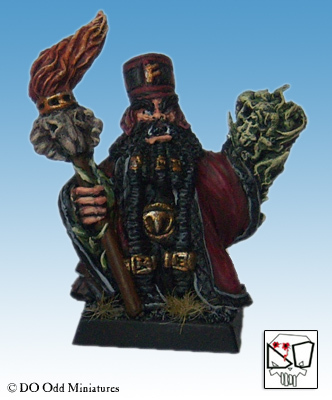 Marek Ziolkiewicz managed to win his group's campaign with his his Marauders of Chaos warband. Due to the Scion of Chaos objective his warband leader became a powerful Daemon Prince and he submitted the stats and rules to us. 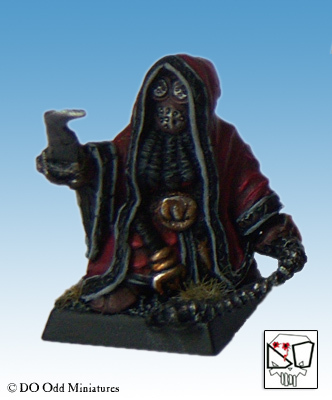 I have added a new section for Daemon Princes to the Dramatis Personae page where you can now download Marek's mighty follower of Arkhar. You might also like to check out the Portents of Doom campaign website. With the Scions of Chaos winning the second month in a row there is a brand new marauder tribe option available: the dreaded Tong! The tribe was originally meant to be included in the 'Follow the darkest tribes' section of the Marauders of Chaos warband, but we felt that the Tong were too rare and special to be included as a normal tribe. The scope of the Portents of Doom campaign, however, gave us a great opportunity to release the rules at last, so with the recent success of the Chaos players they have now been "unlocked". The Border Town Burning supplement has been out now for some time and you've all had a chance to go through the various rules and maybe even try some of them in your games. I have created a poll on Tom's Boring Mordheim Forum where I would like you to vote for your favourite warband from the supplement. It doesn't matter whether you make your choice based on how you like the actual rules and feel of the warband or because you particularly like the race and background. Feel free to elaborate on your decision by making a post. I have enabled vote cancelling so you can change your vote later if you want to because of new experience you may make with the warband. This is just a small reminder that the Portents of Doom campaign for Border Town Burning has well taken off and the first event has been posted today. This is still a huge experiment for us and the campaign's success depends on how many gaming groups will join us within the next months. I am happy that there were even any gaming groups signing up for it at all *phew* - this is definately nothing to take for granted! It is difficult to mobilize people in this way and I am happy to hear that those who have signed up are enjoying their BTB games. For their and our own enjoyment we'll try to continue this project as long as the results justify the efforts. Lastly I want to remind you that we are always welcoming submissions for BTB inspired scenarios, Hired Swords/Dramatis Personae and other rules. The more submissions the less we need to come up with our own new events for POD. So if you have any ideas that you think are worth publishing in the context of the POD campaign don't hesiate to contact us. I have added "Pathways to Prophecy" to the articles section. In this 2-page article I explain how warbands with the 'Scion of Chaos' or 'Celestial Protectorate' objectives (or actually any warband keen on power and fortune) can find the fabled Chaos artefacts in a Border Town Burning campaign. This little guide is meant to help those players who don't have the time or patience to carefully study the various options and possibilites of the BTB setting. If Mordheim was a computer game I guess you could call this article a "walkthrough", so to those players who want to find out the possibilites of the setting for themselves I say: Beware, spoiler! The others should go here to download the article. I am very excited to announce the launch of the Border Town Burning campaign site: Portents of Doom. PoD is a unique global campaigning experience for gaming groups running Border Town Burning campaigns. Irrespective of where in the world you are located you can join the campaign and make sure that your warband plays a role in the global events that determine the outcome of the war on Chaos in the far East. For more information head over to the PoD website and check out what the fuss is all about. With the Border Town Burning supplement being out now I just want to write you all a quick note that the BTB website will, of course, remain alive and vibrant. 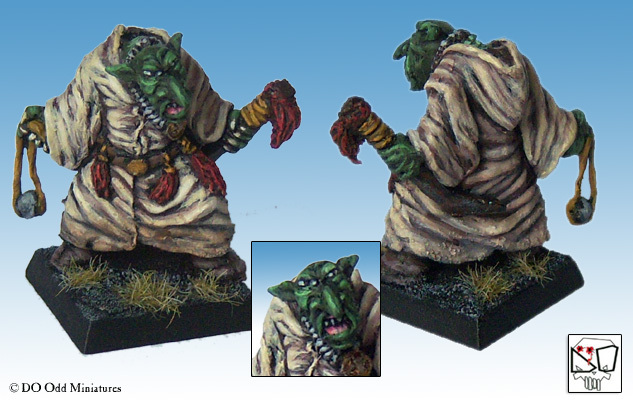 The gallery section is constantly updated with new photos of warbands or single miniatures that are submitted to us or that we find on the internet. We will continue to actively support BTB, not only by answering whatever questions you have, but we will also hold a competition now and then and provide you with further hobbying material. Furthermore, we have some cool plans for an exciting extension of the BTB campaign experience. Watch out for more infos on that later this month. Lastly, if you like, have a look at Tom's Boring Mordheim Forum, which is growing to become the Mordheim forum on the net. You will frequently find new terrain or miniatures projects posted there - including BTB warbands and terrain, of course! The full supplement is here at last! You can get it from the download section above (or by clicking here if you are that lazy). This is the complete and finished version of the Border Town Burning supplement so you can take this to the printer without hesitation. The full version includes the rules for objectives as well as all of the other material you may have seen in the previews. There is lots of new exciting story-telling, and last - but certainly not least - a huge hobby chapter with a stunning full colour gallery section featuring photos of sample conversions of the newly introduced warbands and hirelings as well as pictures of sample gaming tables built by the developers and play-testers and by those players who submitted photos of their works in time for the release. Please note that the supplement contains the most up-to-date version of the rules. 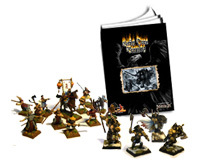 The Marauders of Chaos and Black Dwarfs warbands, which have been previously released in different ezines, both received a few corrections as did some of the pre-release material from the instalments, so be sure to use the warband lists and rules from this site as they are always the most current versions. I hope you enjoy this mighty tome of Mordheim adventuring! For older news items check out the archive. 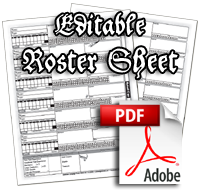 Editable warband roster sheet now available! Army Builder files for BTB now available! Check out these other great websites.